Looking for quality auto body repairs in Los Angeles, California? 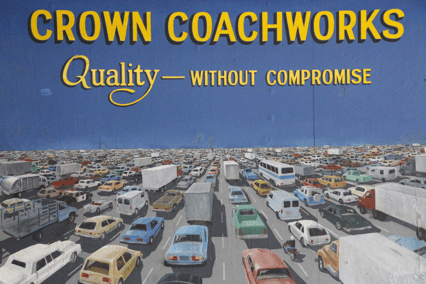 Crown Coachworks is at your service. 2. You have the right to go to the repair shop of your choice. Your insurance cannot require you to go to a particular shop. It’s your car. It’s your decision. 4. Some insurance companies may want you to visit their drive-in claims center before having your car repaired. You can bring it to the auto body shop of your choice to have the car inspected by the insurance there instead of going to where they want you to go. 7. Choose a shop that has unibody equipment and certified technicians (by i-Car or ASE, for example). We work on all foreign and domestic vehicles, including Acura, Audi, Bentley, BMW, Buick, Cadillac, Chrysler, Dodge, Ferrari, Ford, Honda, GMC, Jaguar, Jeep, Lamborghini, Lexus, Lotus, Maserati, Mercedes-Benz, Porsche, Toyota, Volkswagen, as well as hybrid vehicles such as Toyota Prius, and electric cars including Tesla, Mitsubishi i-MiEV, and Chevy Volt. Crown Coachworks Auto Body & Paint is a ProFirst™ Certified Collision Repair Facility for Acura and Honda, a Recognized Certified Collision Repair Facility for Chrysler, Dodge, Fiat, GM, Jeep, Ram, MOPAR, SRT, a Hyundai Recognized Certified Collision Repair Center, and a Nissan Certified shop. We work with all auto insurance companies, including 21st Century, AAA, AIG Private Client Group, Alliance United, Allied, AllState, Ameriprise, Chartis, Chubb, Esurance, Farmers, Firemen’s Fund, Geico, The General, Kemper, Hartford, Liberty Mutual, Mercury, Nationwide, Progressive, Safeco, State Farm, Unigard, USAA, Wawanesa, Western General, Workmen’s, and others. Crown Coachworks Auto Body and Paint offers free estimate, works with all insurance companies, and offers a lifetime guarantee on its repairs.